CHICAGO -- A Chicago woman who provided her teenage daughter a switchblade knife she allegedly used to stab another girl last year has pleaded guilty to involuntary manslaughter. 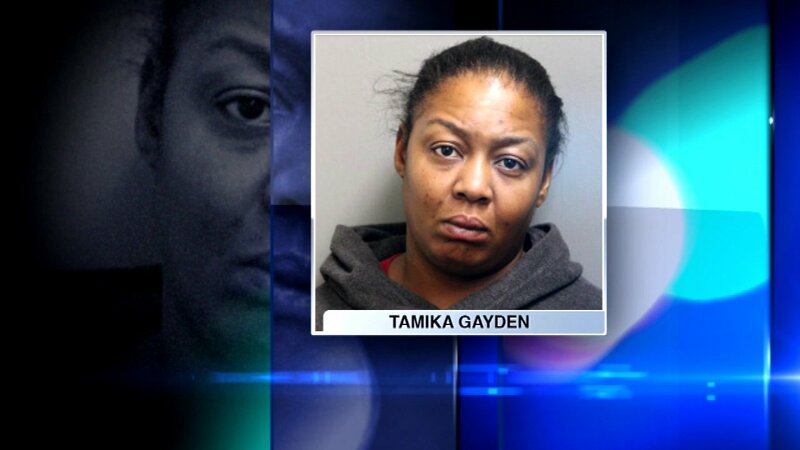 The Chicago Tribune reports that 36-year-old Tamika Gayden was sentenced Tuesday to four years in prison by Cook County Judge Kenneth Wadas after prosecutors agreed to reduce the original first-degree murder charge. Assistant State's Attorney Brian Whang said the Gayden's 13-year-old daughter and others were on her third-floor balcony in the 6400-block of South King Drive when they started arguing with 15-year-old De'Kayla Dansberry and her friends, who were on their way to a nearby store. A teen girl was fatally stabbed during a fight that broke out on Chicago's South Side. Before Gayden's daughter left the apartment to confront her rivals, Gayden allegedly told the girl to get the switchblade knife from her purse. Gayden looked at the knife and told the girl to use it in case a fight broke out, Whang said. The girl then put the knife in her pocket and went outside the Parkway Gardens housing complex, authorities said. Soon De'Kayla was fist fighting with some people from the other group. That's when Gayden's daughter, who previously was just watching the rumble, stabbed De'Kayla once in the chest, Whang said. The young assailant, wearing a pink hoodie, ran back inside her apartment and cleaned the knife, Whang said. Another person wrapped the weapon in tape. The knife was later recovered by police, Whang said. Surveillance footage captured the 13-year-old stabbing De'Kayla and holding the knife, Whang said. On Tuesday, when the girl appeared in Juvenile Court, her attorney said she had "no publishable background" and was "absolutely terrified" of the situation she was in. Gayden went to Dunbar Vocational High School but had to drop out her junior year when she became pregnant, Assistant Public Defender Kathryn Lisco said. She has a supporting father, but he lives in California and is suffering from dementia, Lisco told the judge. Gayden's daughter's case is pending. "We have another promising young life snuffed out in the city of Chicago," Judge James Brown said during Gayden's bond hearing in 2016. "To me, that's unprecedented insanity," the judge said of the violence. "Here we have a situation where we have two little girls having a dispute. One is given a knife by her mother and basically encouraged to kill another little girl," Brown said. Brown continued calling the situation surrounding De'Kayla's murder "despicable and unconscionable."